Dubai is setting new records with its architectural wonders. Besides being the land with the tallest building and the tallest arch bridge in the world, Dubai is also the home of the world’s tallest fountain. 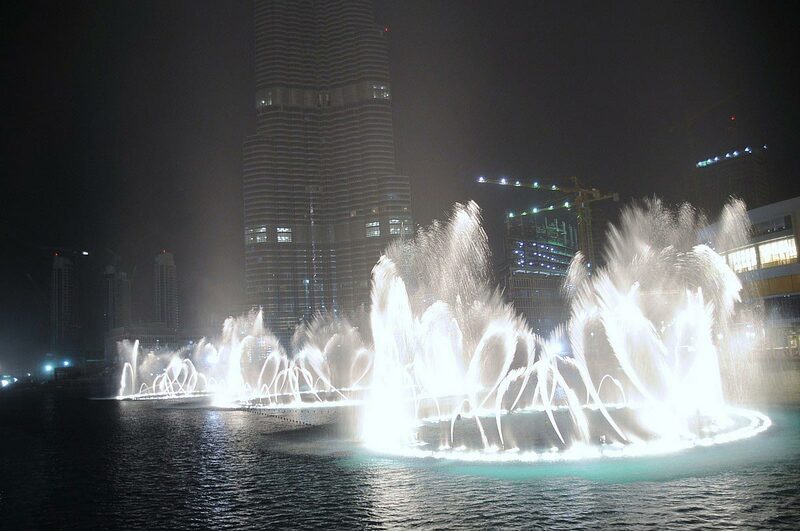 Named, the Dubai Fountain, it is situated next to the world’s tallest building (aka Burj Dubai). It was built for $217 million by WET Design, which is the same company that created the one at the Bellagio Hotel, in Las Vegas. The 900-foot long water show uses 6,600 lights, 50 colored projectors, and hundreds of servos, all computer controlled and synchronized with music to offer some of the most sophisticated water entertainment. 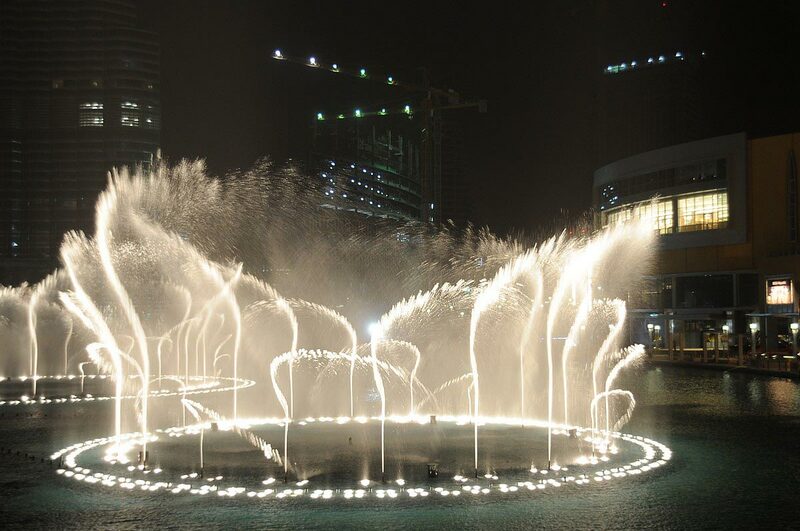 The Dubai Fountain is 275 metres long and lies at the Burj Dubai Lakeg. The Burj Dubai Lake is placed at the centre of Emaar’s massive Downtown Burj Dubai project, surrounded by the Dubai Mall, Souk Al Bahar, Burj Dubai, and the Address hotel. The fountain performance starts at 6pm with performances every half-hour until 8pm. 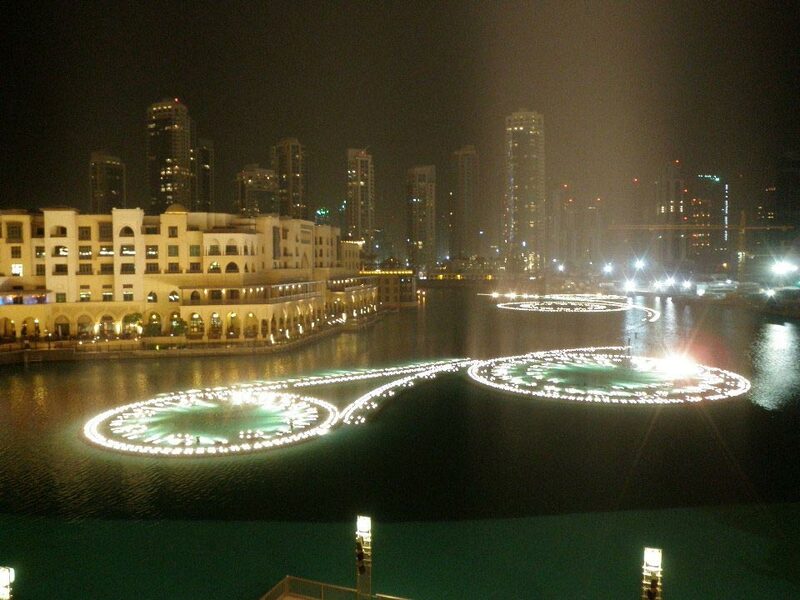 Between 8pm and 11pm, music-water displays occur every 20 minutes.